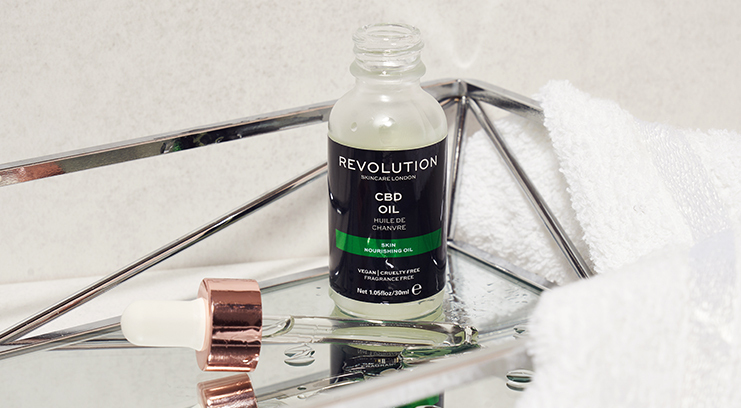 Unless you’ve been seriously out of the loop in the beauty world over the past year, chances are you’ve heard of an ingredient called CBD (also known as cannabidoil). It’s attracted a lot of beauty buzz, not just because it’s derived from marijuana, but because it’s a versatile ingredient to add to your skincare routine and can help with anything from wrinkles to acne. Derived from hemp plants, CBD offers the curative benefits of cannabis without the psychoactive effects. The buzzword ingredient is free from THC, so it won’t get you high but has been proven to be a powerful antioxidant and anti-inflammatory. Cannabidoids are responsible for the products of lipids – skin’s natural fats which maintain the strength of the skin’s barrier and play an important role in keeping skin balanced. If the skin’s barrier is strong and healthy, this prevents bacteria from getting in (and causing acne) and prevents hydration from escaping (leading to dry, dehydrated skin). CBD is most effective when applied topically because it stimulates the skin to neutralise the free radicals that damage skin via UV rays. UV can trigger signs of skin aging and prevent skin healing, so using CBD can result in healthier, better protected skin in both the short- and the long-term. It can be particularly beneficial to those who suffer from eczema, psoriasis, and acne, thanks to its soothing properties which help to diminish irritation and redness. CBD oils can be used day and/or night. Apply it after cleansing and before moisturising. To max out the benefits, take time to massage it in. Ideal if you’re looking for a potent way to get your CBD hit. 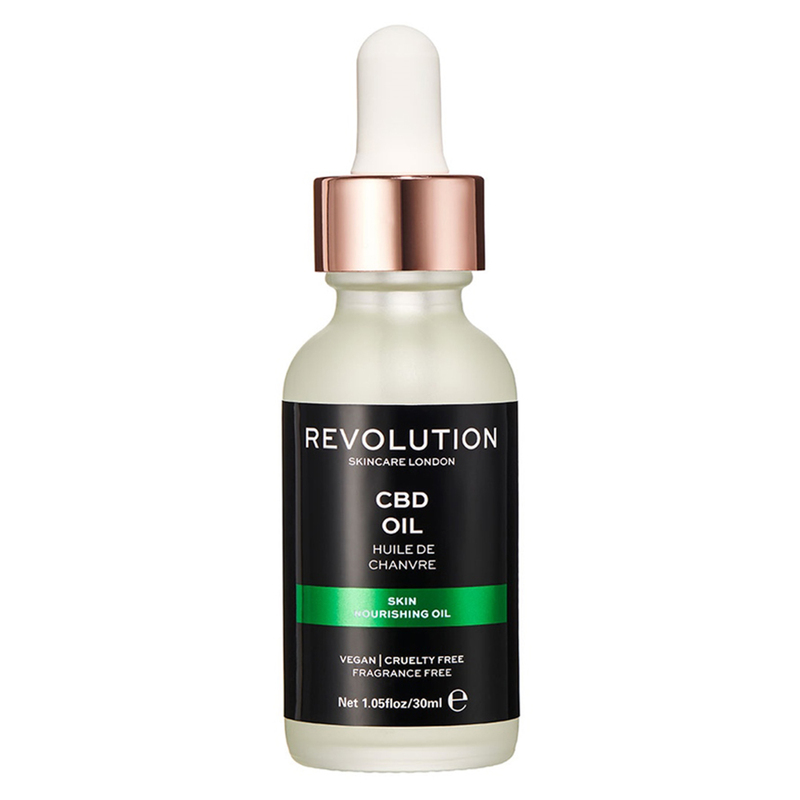 Revolution Skincare’s CBD Oil is boosted with uber-hydrating grapeseed and almond oils, a couple of drops of this oil massaged into skin instantly soothes irritation and inflammation and nourishes dry skin. Its dry texture instantly absorbs and is totally non-greasy – what’s more, it doesn’t smell remotely like cannabis and is 100% cruelty-free and vegan.